Alexander Pachta-Reyhofen is our Alum of the Month for October. Alexander completed his MSc in Management in 2010 and then embarked on seven years’ training for priesthood. 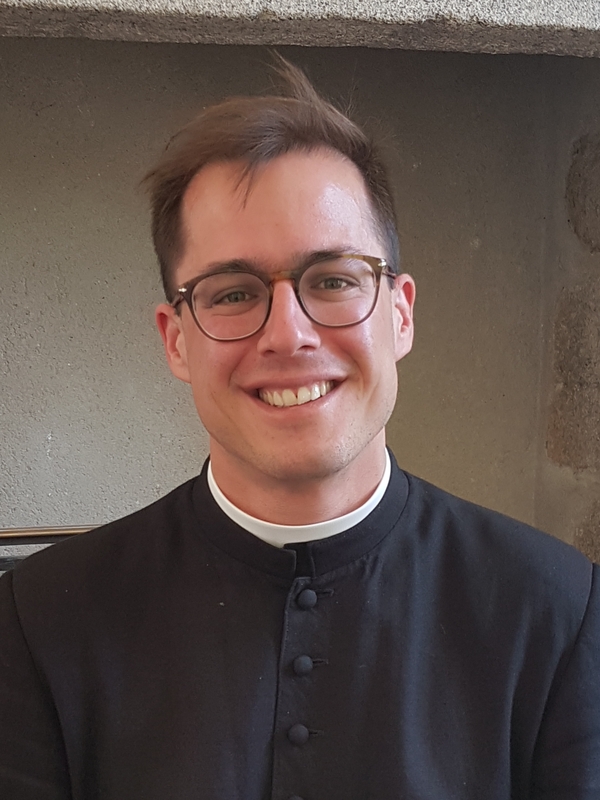 He has recently been ordained, and is based in France. I am member of a young community of priests called the Community of Saint Martin. A year ago, after having been ordained a deacon, my superiors sent me to join our team in Soissons (northern France). I now serve here as a Curate, i.e. 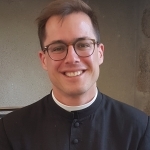 a junior assistant priest. The main areas of ministry I am engaged in are youth work and outreach to the poor. Plus, of course, all the usual sacraments such as baptisms, weddings, masses etc. Explain how you came to be ordained as a Roman Catholic Priest? That’s a very surprising story. When I started studying at the LSE I had absolutely no idea that that was what God had in mind for me. I saw myself working in a consultancy, later get married and have children, and just live a normal life. But it so happened, that towards the end of my 2-year programme, in my heart, I heard this calling to become priest. What ensued was a strong interior struggle between conflicting desires and aspirations. Celibacy was of course an issue, as was obedience and the rather poor life style I’d have to adopt. But in the end, I realised that becoming a priest not only was what God wanted for me, but that this also was my path to happiness. Seven years later I can say that I don’t regret my choice, that I am extremely happy with this life at the service of God and the people. It isn’t always easy, but Jesus’ life also wasn’t only easy, just think of the cross, and yet it’s his example that I strive to follow. How has the programme you studied helped you since graduation? Given the path I have taken, there is obviously no direct connection between my MSc in Management and what I am doing now on a day to day basis. However, I do draw on all kinds of skills acquired through the management programme. Being a priest for instance requires a lot of presentation skills and the ability to talk in public. You need to be well organised and you have to know how to lead a team and how to set strategic goals. It’s also important to be able to assess the success or failure of a project. I don’t want to make this sound as if a priest were just a kind of religious manager, but there are many aspects of a priest’s tasks that require these kind of managerial skills. In France, this has been recognised by the Church hierarchy which now actually offers managerial courses for priests. What are your memories of studying at the Department of Management? First of all, I was simply thrilled by the fact that I was actually studying at the LSE. I was proud to be part of this world renowned institution.And I absolutely loved some of the courses we had. I remember for instance the Managerial Economics classes with Saul Estrin. Coming from Philosophy, I was fascinated by the way he made us look at the world and the behaviour of human beings. Because, in the end, that’s what has always interested me most: human beings, their goals, their decisions, their reactions. All the classes that related to this, such as economics and marketing, got my full attention. And then there were of course all the real life people I got to meet during those two years, people from all over the world, people with all sorts of perspectives and insights. I guess, I could have made more of this. With hindsight I can see that, at the time, I lacked sufficient openness. What’s the best thing about being an alum of the Department of Management?. It’s part of who I am, and in a strange way it’s part of what made me become a priest.